If you are in the business of transporting people from place to place, a shuttle bus could be the exact vehicle you are looking for. You can find a shuttle bus for sale at Lehman Van, Truck, & Bus Sales, and our staff will assist you in making the purchasing process go smoothly. We have shuttle busses of a variety of makes and models available for you to choose from, so visit us today and see all that we have to offer! 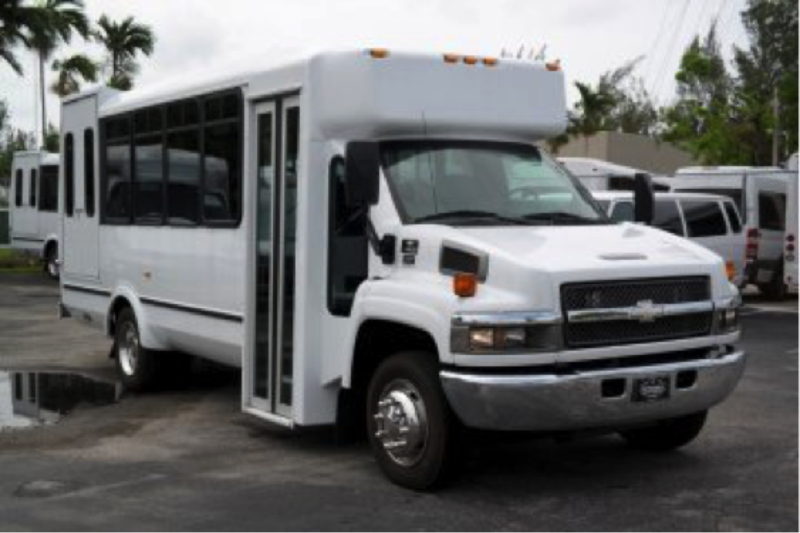 If you are searching for a used shuttle bus, Lehman Van, Truck, & Bus Sales has you covered. We carry many Chevy and Ford shuttle vans, as well as luxury shuttle buses like Mercedes-Benz vans. Our buses can carry a range of passengers, and you will even find 15 passenger buses amongst our inventory. What’s more, if you must handle clients with handicaps, we have wheelchair shuttle buses for sale. Our staff has the expertise to determine what you need for your business, so visit us today and see our complete inventory of vans, trucks, and buses! Lehman Van, Truck, & Bus Sales can help you craft a financial plan that suits your particular financial position. We offer great financing options, as it is our goal to help you realize the benefits of owning a commercial vehicle from Lehman Van, Truck, & Bus Sales! You can get a head start on financing with our online application. We have Simple Interest Bank Financing available, and our leasing is available from twelve to seventy-two months. In addition, you can get Direct In House Simple Interest financing on corporate loans. Check out our online Payment Calculator tool to determine what your monthly payments will look like. New or used, Chevy or Ford, Lehman Van, Truck, & Bus Sales can provide for your shuttle bus needs. We are committed to giving customers a positive experience every time, and that commitment is taken seriously by each of our employees. Investing in shuttle bus that you can rely on could be a real boon to your business success, and we are the trusted leasing company to go to. View our leasing online inventory today and find what you are looking for, or come in for a visit. We look forward to leasing you a quality shuttle bus!